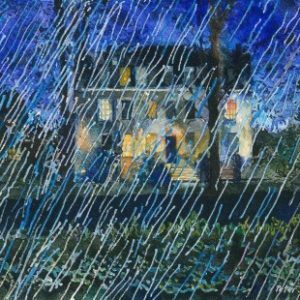 Peter lives and works in Salisbury and exhibits his work in galleries all around the world. His work is deliberately theatrical and intended to capture a fleeting moment. Memory, desire and the passage of time are the main themes of his work. Devon-based Sarah draws trees and woods in black pen. Her subjects are places she has explored or are linked to childhood stories, wolves, fairies, being lost. Her original drawings take up to a month to complete. 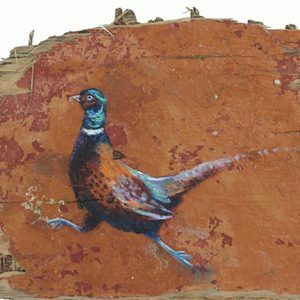 Using oil, acrylic & mixed media and working mainly on linoleum for printmaking, Layla's imaginative, emotional works always have reality as a starting point. They are influenced by people she meets, places visited and stories/poems read. 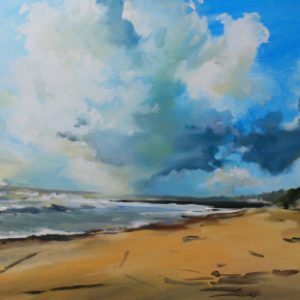 Angela’s art work expresses her passionate love of and connection to nature. 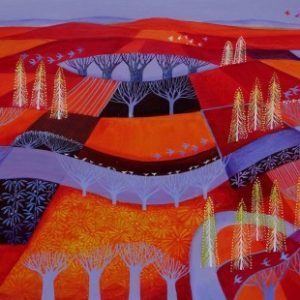 She aims to communicate honestly the mood of a place and subject through use of light and colour and simplicity of brushstrokes. 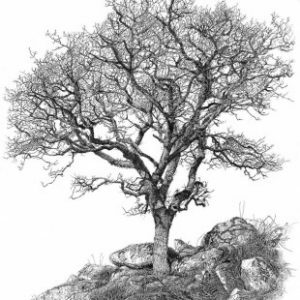 Jan is fascinated by ancient field systems, the repeating patterns of trees and the relationship between the geology of the earth and the marks of man. Her Cornish studio overlooks the sea so all things of the ocean appear also. 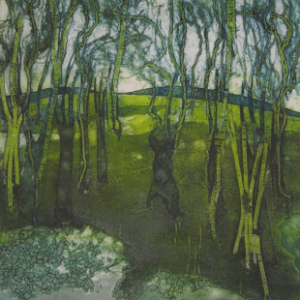 Sarah's hand-inked collagraph prints are inspired by Dorset scenery from her childhood and the rugged landscape of Scotland where she now lives. 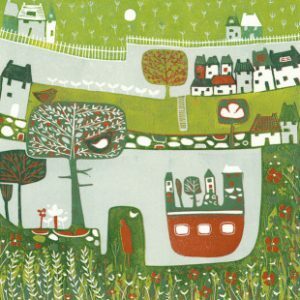 She combines vibrant oil-based printing inks with the textural qualities of carefully built collage blocks. Tanya began exploring paint at a very early age, learning key skills from her father. She seeks out interesting pieces of wild wood to paint on, enjoying the excitement of finding something that has been overlooked and seeing a whole new life for it. 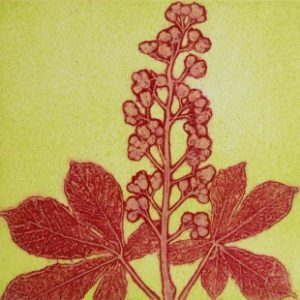 Dorset printmaker Robin uses collagraphy, linocutting and monoprinting in her work. A focus of her work is the structural and textural properties of plants. She presses pieces and uses them as the basis for her printing blocks. 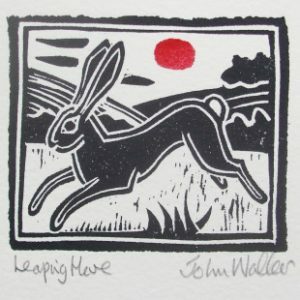 John Walker is particularly interested in woodland animals, and his prints are full of leaping hares, stealthy foxes, squirrels and the occasional fish. Bold outlines reflect Walker’s interest in medieval woodcuts and love of his local Dorset countryside. 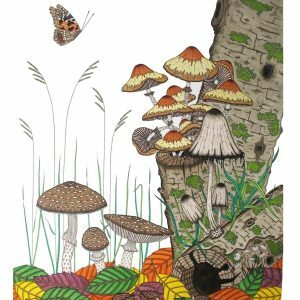 Illustrator & designer Francesca McLean works with gouache and ink stamps to create illustrations and pattern designs inspired by the English countryside. She also loves to combine beautiful calligraphy with my illustrations.